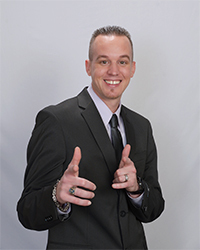 Ronnie Montana has been in the Escrow industry for over 12 years and is a third generation Escrow Officer. His loyal following can attest to his hard work and prompt response in addressing all escrow needs. Keeping up with our volatile industry, his niche in processing short sale escrows is second to none. A true believer in partnership, his goal is: attainability, attention to detail, and complete customer satisfaction.Using the firm understanding that has been passed down from generation to generation that “You are only as good as your last escrow!”…Ronnie strives for perfection on each and every escrow transaction. Specializing in Short Sales, Commercial & Residential Sales, Mobile Homes and Residential Refinance Transactions.